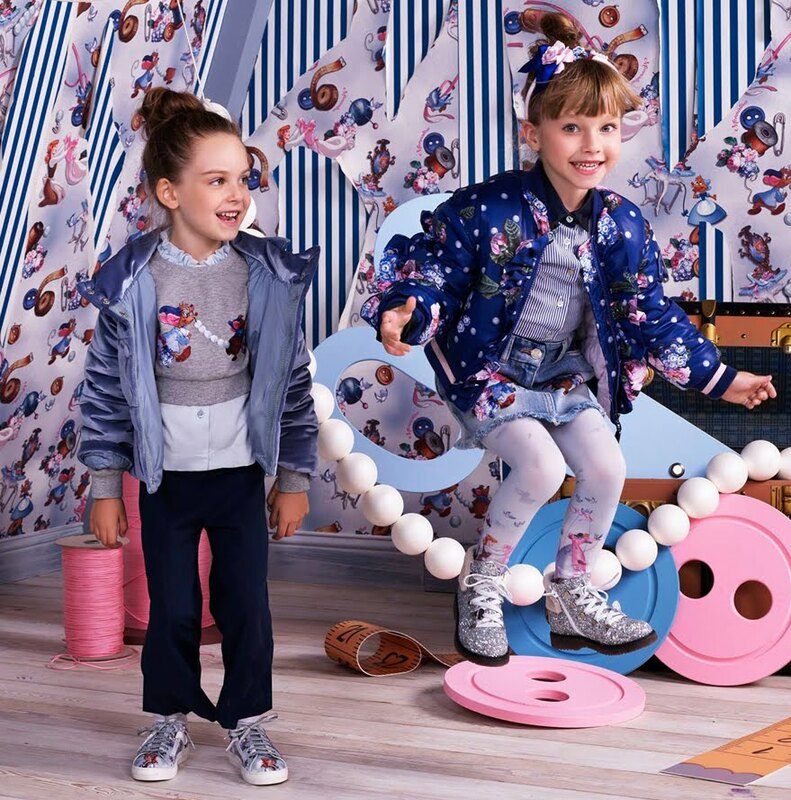 Bring little wardrobes to life with favourite characters and illustrations, featuring bold colours and more to create ALALOSHA fun and playful cartoon edit. 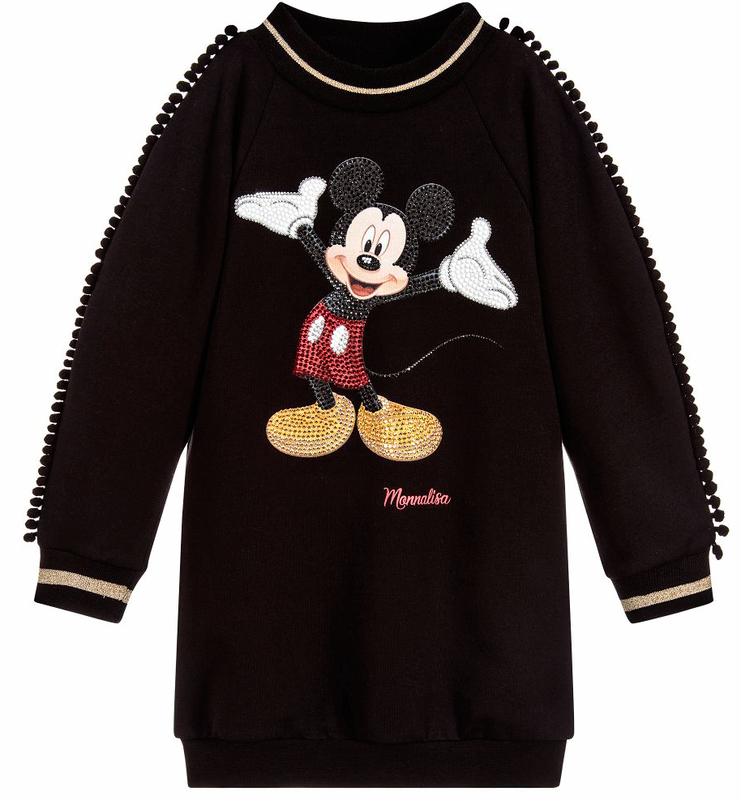 A super comfortable black sweatshirt dress by Monnalisa, made in soft and lightweight cotton jersey. 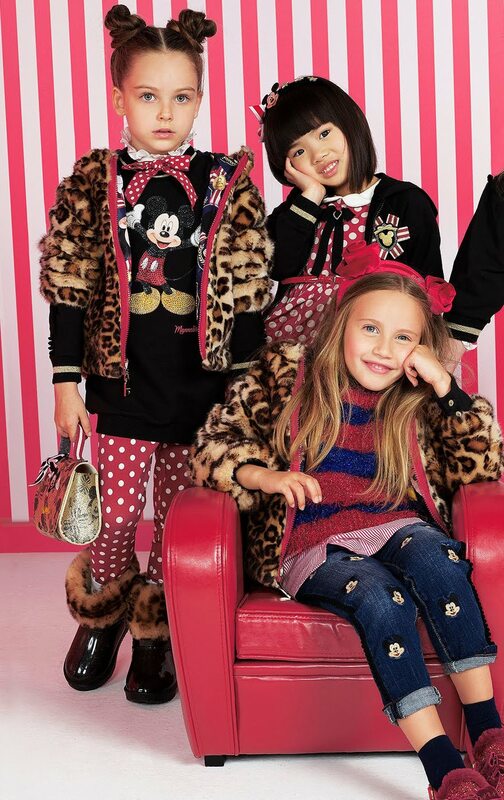 It has pom-pom trim on the sleeves, metallic gold stripes on the cuffs, and an eye-catching print of Disney's Mickey Mouse in sparkly studs and diamantés. 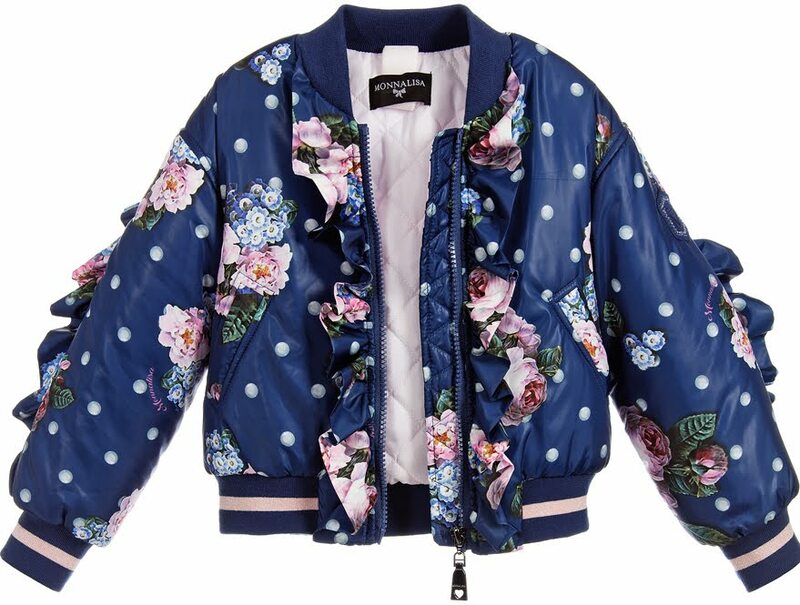 A warm, padded bomber jacket for girls by Monnalisa, made in blue polyester silk. 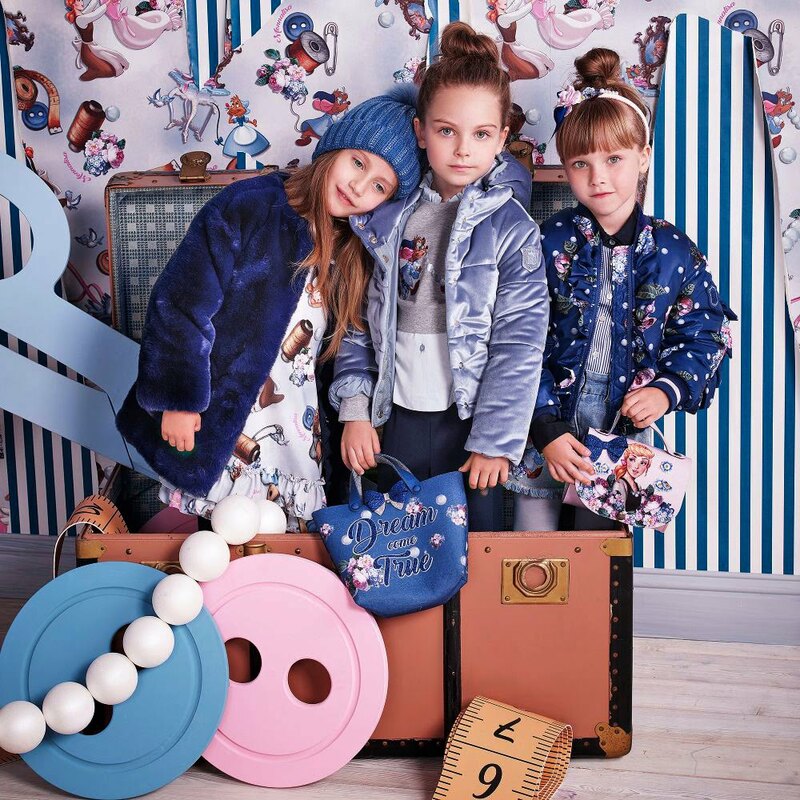 It has a beautiful floral bouquet and pearl print, in shades of pink, blue and ivory. Frills border the zip fastener and there is a pretty pale pink quilted lining. 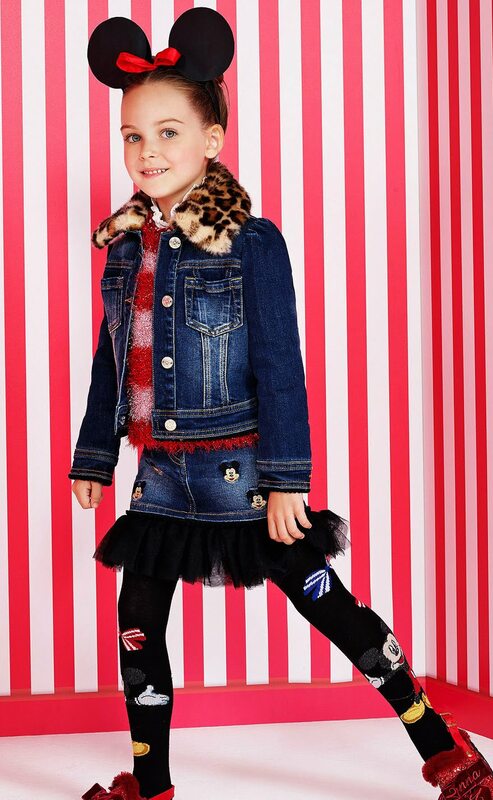 A stretch denim skirt for girls by Monnalisa, beautifully embroidered with Disney's Mickey Mouse and with a black tulle frill hem. It has an adjustable waistband and fastens on the front with a zip and buttons. It has a print of Disney's Cinderella and fastens on the back with a zip. The dress also has a removable smart blue collar which fastens with diamanté buttons. A soft crêpe dress for girls by Monnalisa with elegant fluted 3/4 length sleeves and a pretty ruffle hem. It has a print of Disney's Cinderella and fastens on the back with a zip. 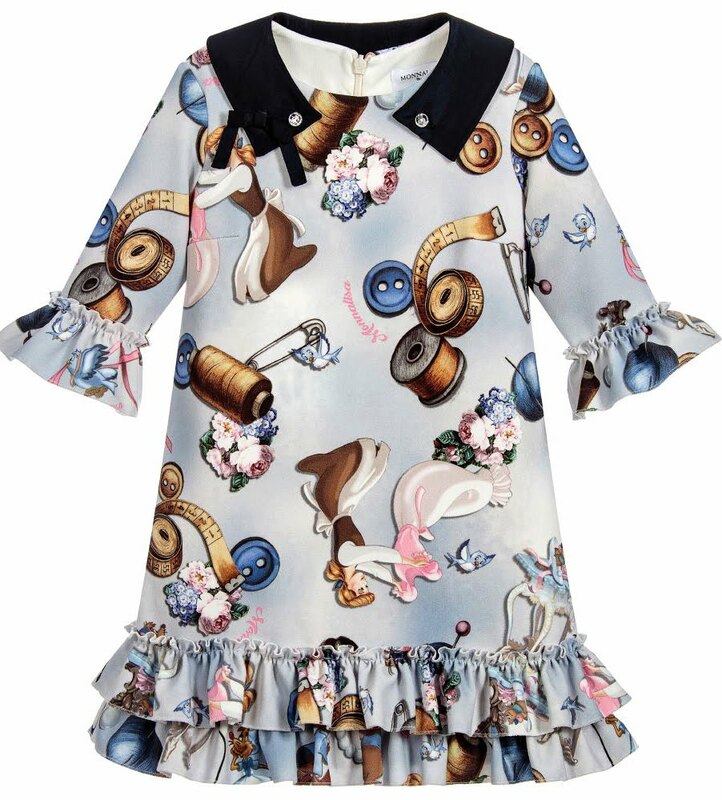 The dress also has a removable smart blue collar which fastens with diamanté buttons.